This extraordinary collection of personal correspondence has all the hallmarks of Kurt Vonnegut's fiction. Written over a sixty-year period, these letters, the vast majority of them never before published, are funny, moving, and full of the same uncanny wisdom that has endeared his work to readers worldwide. 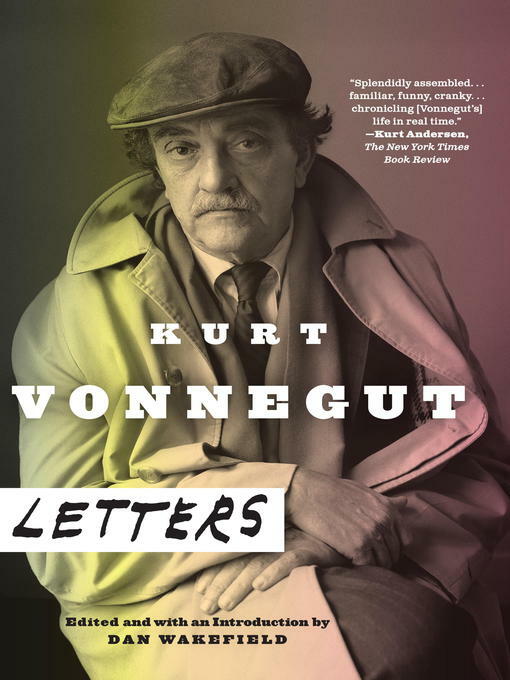 Included in this comprehensive volume: the letter a twenty-two-year-old Vonnegut wrote home immediately upon being freed from a German POW camp, recounting the ghastly firebombing of Dresden that would be the subject of his masterpiece Slaughterhouse-Five; wry dispatches from Vonnegut's years as a struggling writer slowly finding an audience and then dealing with sudden international fame in middle age; righteously angry letters of protest to local school boards that tried to ban his work; intimate remembrances penned to high school classmates, fellow veterans, friends, and family; and letters of commiseration and encouragement to such contemporaries as Gail Godwin, Günter Grass, and Bernard Malamud. Vonnegut's unmediated observations on science, art, and commerce prove to be just as inventive as any found in his novels—from a crackpot scheme for manufacturing "atomic" bow ties to a tongue-in-cheek proposal that publishers be allowed to trade authors like baseball players. ("Knopf, for example, might give John Updike's contract to Simon and Schuster, and receive Joan Didion's contract in return.") Taken together, these letters add considerable depth to our understanding of this one-of-a-kind literary icon, in both his public and private lives. Each letter brims with the mordant humor and openhearted humanism upon which he built his legend. And virtually every page contains a quotable nugget that will make its way into the permanent Vonnegut lexicon. • On a job he had as a young man: "Hell is running an elevator throughout eternity in a building with only six floors." • To a relative who calls him a "great literary figure": "I am an American fad—of a slightly higher order than the hula hoop." • To his daughter Nanny: "Most letters from a parent contain a parent's own lost dreams disguised as good advice." • To Norman Mailer: "I am cuter than you are." Sometimes biting and ironical, sometimes achingly sweet, and always alive with the unique point of view that made him the true cultural heir to Mark Twain, these letters comprise the autobiography Kurt Vonnegut never wrote.